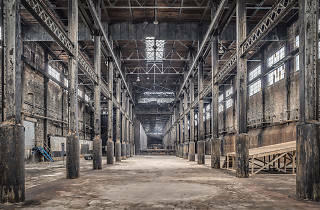 The redevelopment of the Domino Sugar Factory in Williamsburg has already completed the first of several high-rise towers slated for the project, and it won't be long before the former sugar refinery itself will get a cool new look, along with pricey residences and hipster amenities like an indoor skate park. And of course there's a fantastic waterfront park at the site, not to mention plans for a nearby restaurant run by Billyburg chef, Missy Robbins. Meanwhile, the building remains derelict. Now it's the subject of a book by photographer Paul Raphaelson. 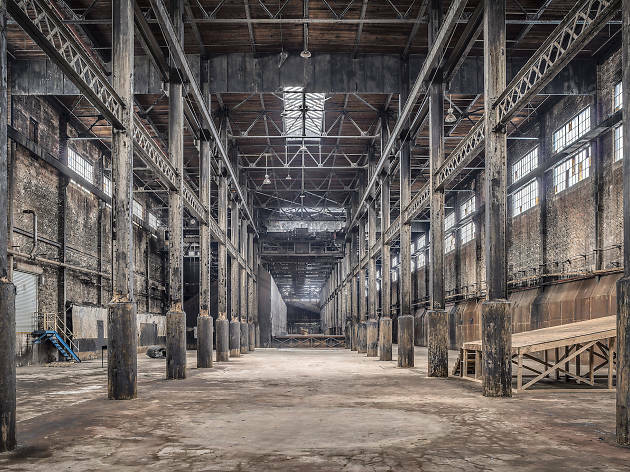 Titled, Brooklyn's Sweet Ruin: Relics and Stories of the Domino Sugar Refinery, the book captures the Williamsburg landmark in all of its abandoned glory, and may represent the last pictures taken of the structure before its inevitable transformation into a gentrifier's Xanadu. A look at the images is provided below, and if you're interested in getting Raphaelson's book, you can find more info here.